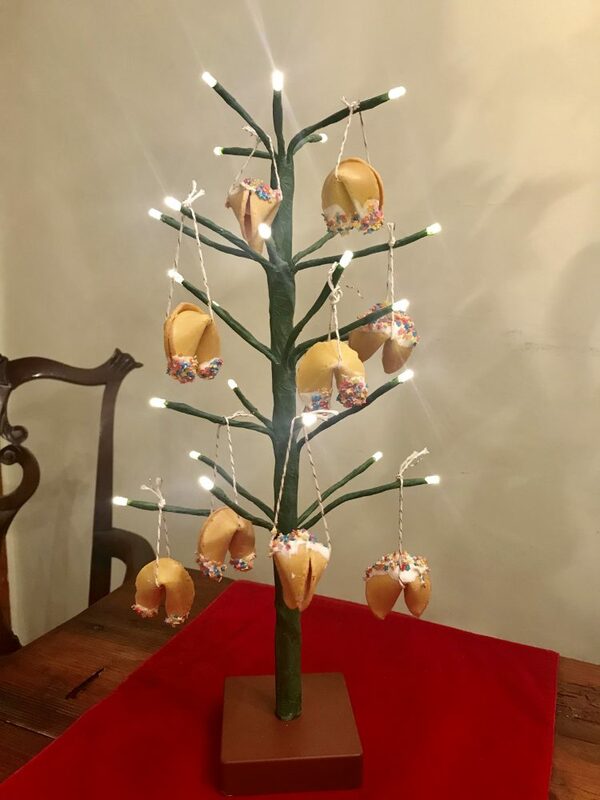 Chinese New Year Decorations: Good Fortune Cookie Tree. It might surprise you that Fortune cookies aren’t actually a tradition in China. 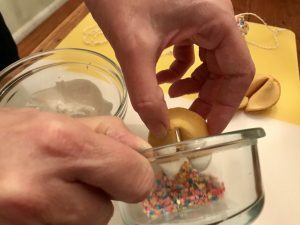 The clever treats were created by a baker in San Francisco…or possibly Los Angeles (there is still a hot debate going on). Wherever they originated, their elegant folds and little wishes inside are a fun way to inspire good fortune for everyone in the coming year. They can also make great Chinese New Year decorations. I make clay fortune cookies in my ceramics class every year because they’re so easy and fail-proof. The coming of Chinese New Year inspired me to use real fortune cookies at home as Chinese New Year decorations. 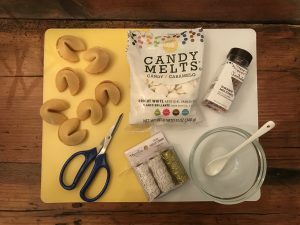 I ordered fortune cookies online (you may even find them at the dollar store), dipped them in candy melts, and sprinkled them with little stars. It doesn’t get easier than that! They look adorable hanging all together for your guests to enjoy right off the tree! They work for so many occasions aside from just Chinese New Year decorations. Wouldn’t a Good Fortune Graduation Tree be cute? Or how about a Good Luck Birthday Tree full of well wishes for the guest of honor? A Bridal or Baby Shower Tree? If you customize your own fortunes, the possibilities are endless! Cut twine into twelve 10” – 12” pieces. 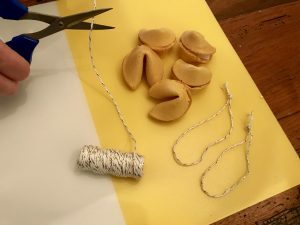 For each one, make a loop and knot the top, like a bracelet. Have your twine loops ready to go and in reach before you start dipping. 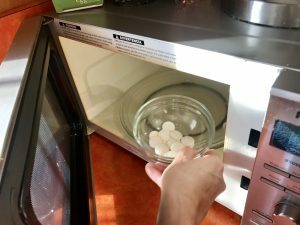 Place melting chocolate in a microwave safe bowl. Start with 1 minute at 50% power, stir, and then put in for 30-second intervals until mixture is smooth. Dip each cookie into the melting chocolate and then the sprinkles. You can dip the top or the bottom of the cookie, whichever you prefer. 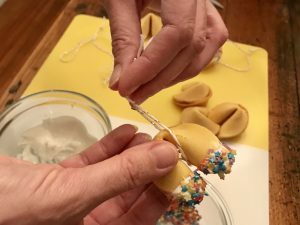 Loop the string around the folded center of the cookie and hang, or place on parchment paper if you are not ready to hang. 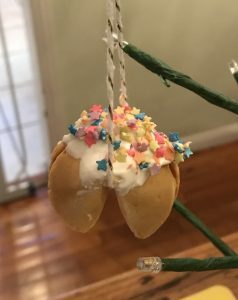 Hang cookie on your Seasonal Tree! 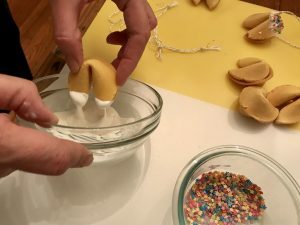 For a personal touch, before you start, you can remove the fortunes from inside the cookies and replace them with your own handwritten fortunes.